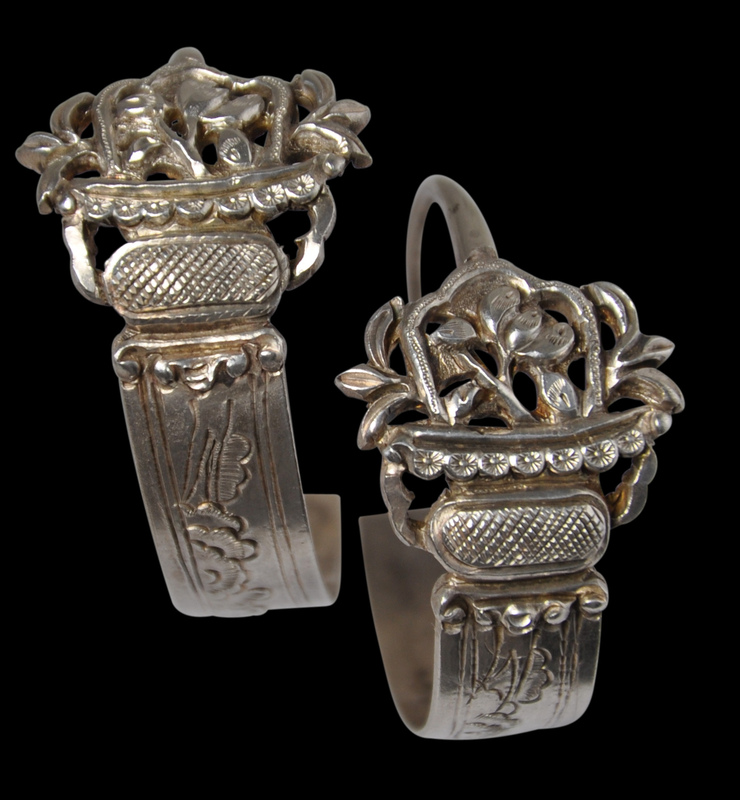 This pair of silver hoop earrings is pierced and engraved with flower basket motifs. 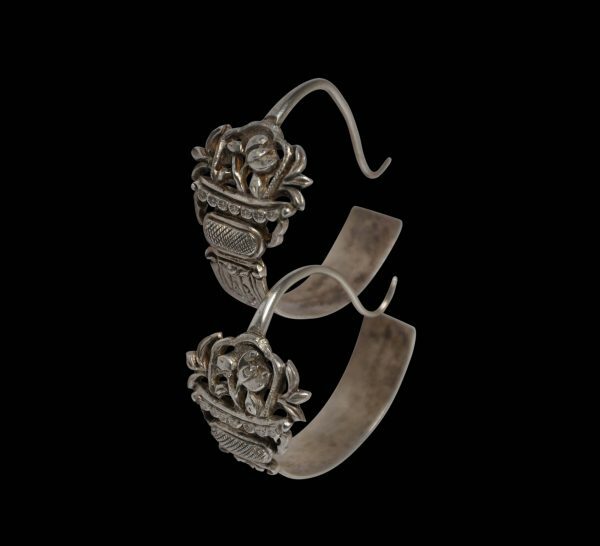 Such earrings were popular among merchant classes in southern China during the later Qing Dynasty, in the 19th and early 20th centuries. 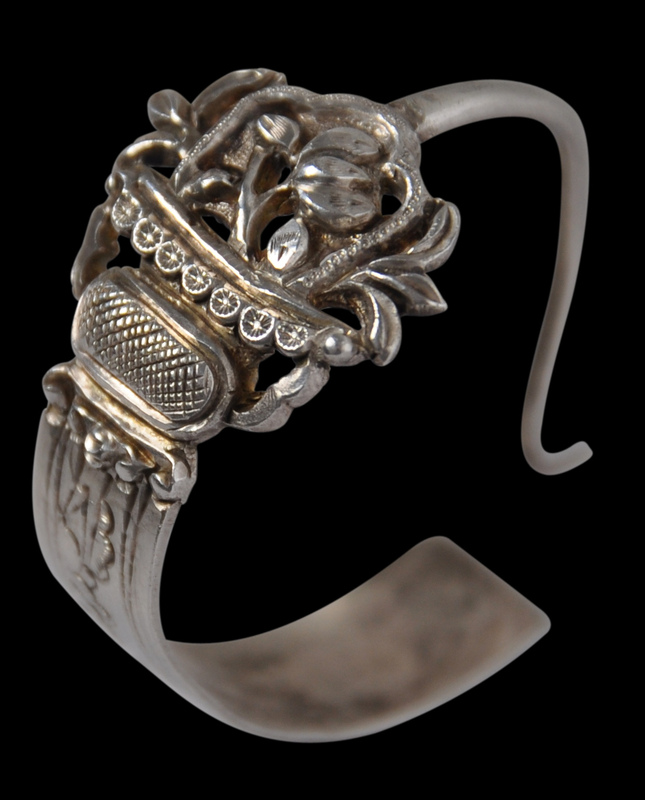 According to Duda (2002), during the Communist era, such jewellery appears to have been collected by the authorities and held centrally, and then in the 1970s, the Beijing government eager to earn foreign exchange decided to sell off its holdings of such jewellery to Western dealers, often by the kilogram. 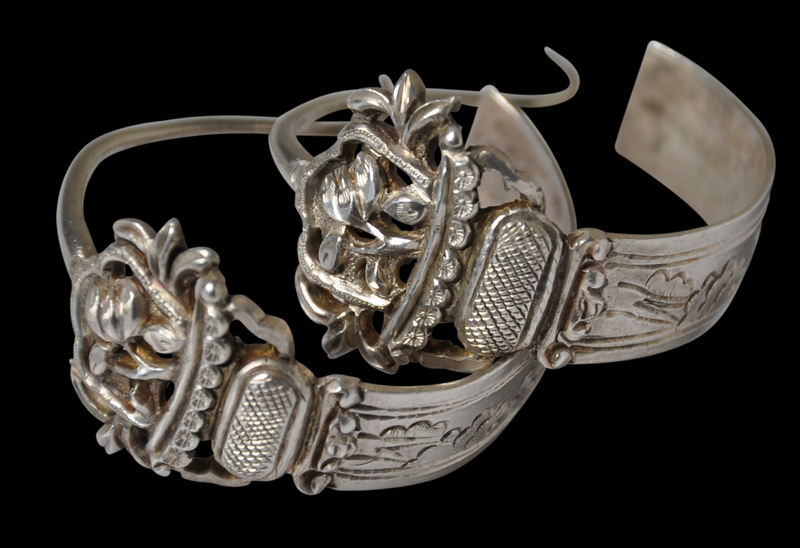 The jewellery poured out of China, mostly to the United States. 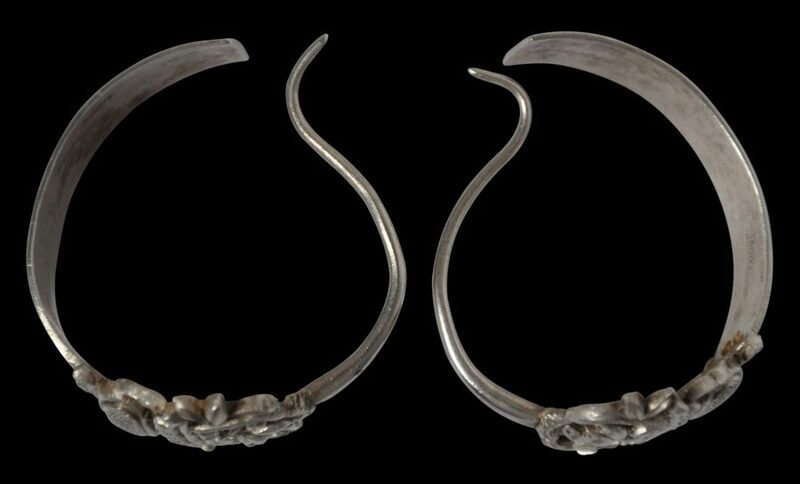 Such jewellery has now become much more scarce. 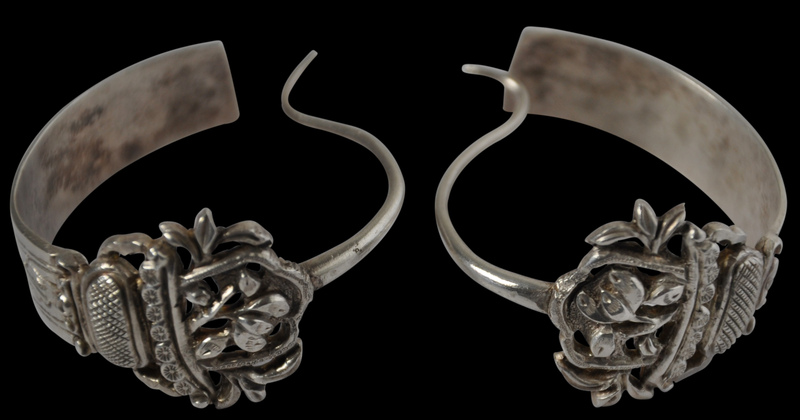 The earrings are in a fine, stable and wearable condition. 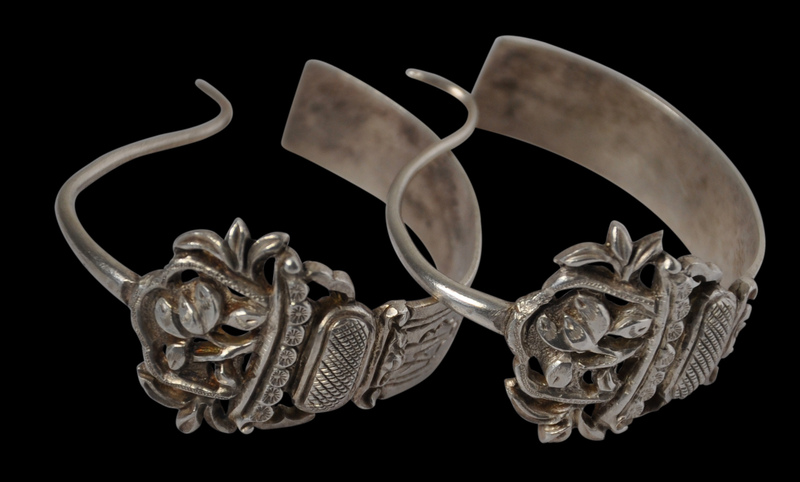 Duda, M., Four Centuries of Silver: Personal Adornment in the Qing Dynasty and After, Times Editions, 2002.